This is the domino board game for Halloween! 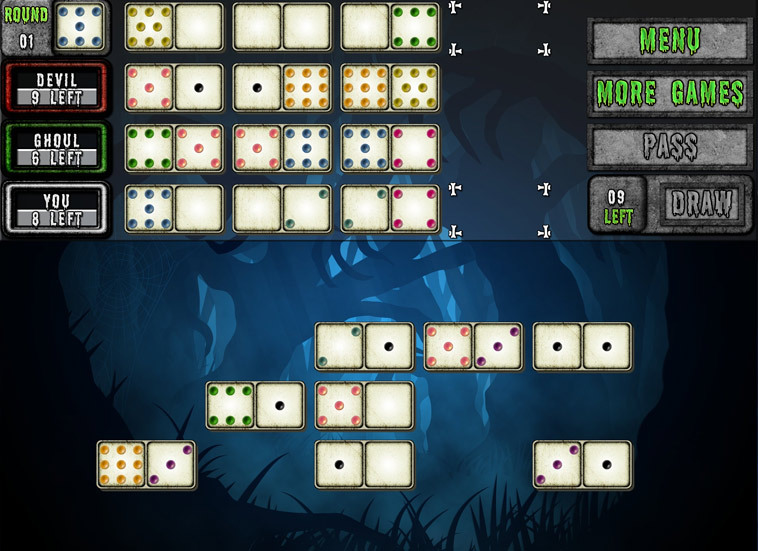 Filled with creepy and spooky effects, this game will thrill you while you try to defeat your opponents. 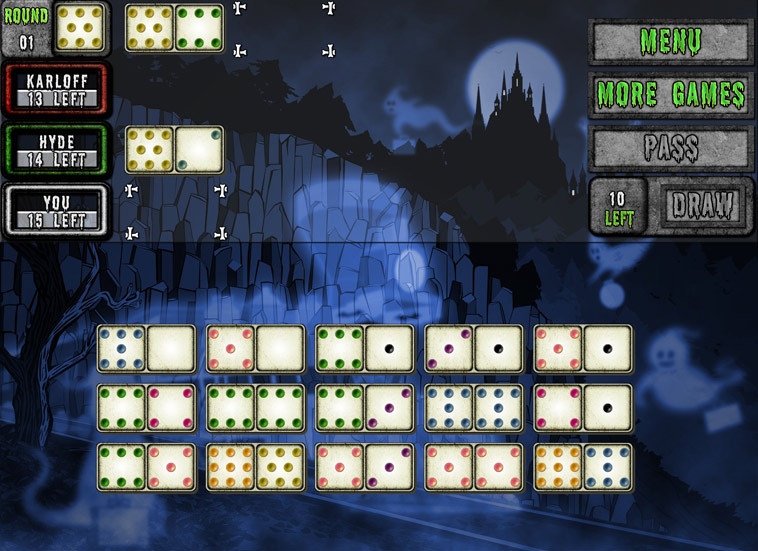 Inspired by Mexican Train Dominoes, the rules are easy to learn and fun to play so you will soon be enjoying yourself! – A.I. opponents with different strengths and weaknesses. The game progresses at the pace that you do. 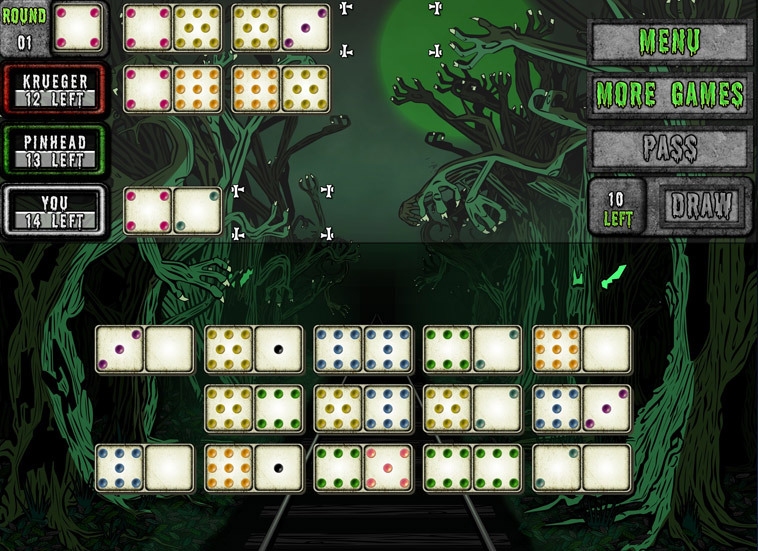 – Select from several spooky themes. 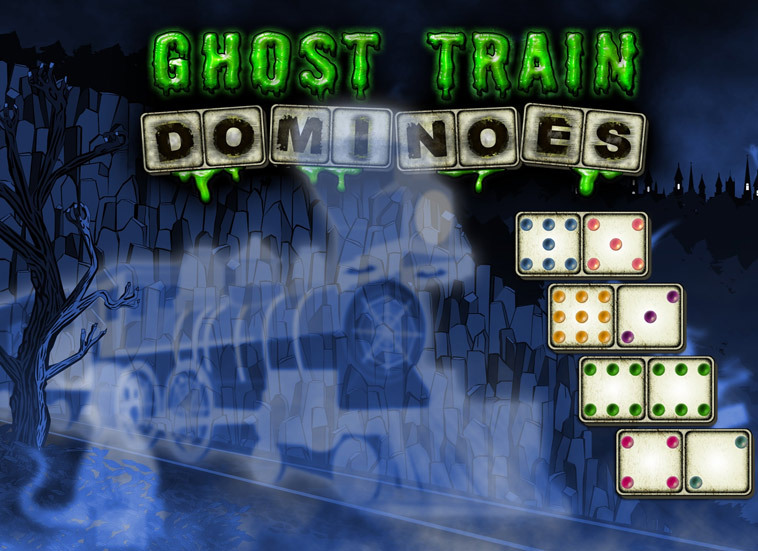 This is definitely the domino game that boasts the most ghosts!